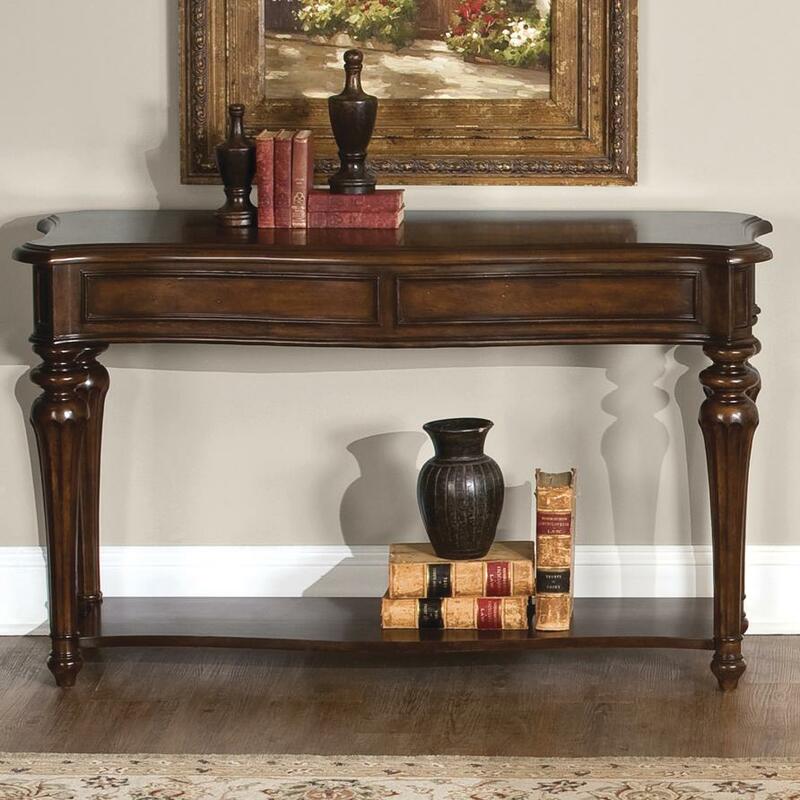 Add a rich and traditional table accent piece to the living room in your home with this elegant sofa table. Featuring elegantly turned legs and an Antique Cherry finish over Walnut and Cherry veneers, this table is fashionable and functional. Pair this piece with the coordinating occasional tables in this collection to complete the look in the living room in your home. The Andalusia Traditional Sofa Table with Lower Shelf by Liberty Furniture at Prime Brothers Furniture in the Bay City, Saginaw, Midland, Michigan area. Product availability may vary. Contact us for the most current availability on this product. 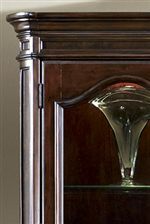 The Andalusia collection is a great option if you are looking for Traditional furniture in the Bay City, Saginaw, Midland, Michigan area. Browse other items in the Andalusia collection from Prime Brothers Furniture in the Bay City, Saginaw, Midland, Michigan area.